Welcome. I’m Kevin Barron. By day, I’m a business consultant and father, but once the kids are in bed I’m a writer too. I write for my day job as well, but it’s a whole different kind of writing. 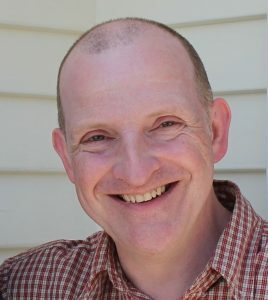 I’m English, but since 2004 I’ve usually been based in Auckland, New Zealand. This is partly because I’m married to a Kiwi and partly because I like it there. We only went for two years. Other than writing, I enjoy photography, travel, and trying to grow vegetables in my small garden. Travel has taken a bit of a back seat of recent years, but I still explore new places in NZ when I can. Having been away from the UK for so long, I now see it through traveller’s eyes, so I feel like I’m travelling wherever I am. After all, there are palm trees on my street and a volcano in the harbour, neither of which are normal where I come from. A few years ago, I took up improv and now practise and perform with a funny group of silly people at the Covert Theatre, mentored by the amazing Improv Bandits. It’s had a definite impact on my writing, after all, writing is just slow motion improv. I enjoy reading and my usual time is on my short commute to and from work. My reading tastes are broad. For non fiction, it’s often history which can also provide inspiration for my books. Looking at my bookcase, there’s a definite lean towards the Second World War and its myriad stories, but all eras are represented. In fiction, I roam widely. Recent reads have included young adult (e.g. Hunger Games, and Secondborn and Prescient), thrillers (Lee Child, Mark Dawson, John Ling), literary fiction (Kate Atkinson) and the classics (Thackeray). I’m unable to keep to one genre which makes my publishing career more complicated than it needs to be. In the main, I write fantasy fiction with greater or lesser elements of science fiction. 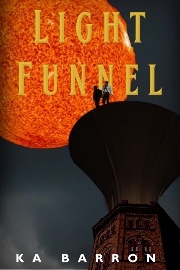 The Light Funnel series involves alternate worlds and universes and contains elements that could be considered flintlock or gunpowder fantasy, but I’m currently working on a Young Adult sci-fi. In addition, I’ve published travel books, got a romantic comedy in the works, and written nonsense poetry and a business book. Not only am I planning more business books, but I’m also intending to write a book or two for children. There really aren’t enough hours in the day. Like most writers, I write because I have to. Someone asked me recently how long I’ve been a writer. “All my life,” I replied. Technically, that’s a lie because I couldn’t write for several years, but I always loved writing stories at school. I also mapped out a science fiction saga across hundreds of years which was a framework for a number of stories and games I used to play in my head. This extended to sketches of characters and spacecraft. Very little of this is ever likely to be published, although I’ve seen worse things on television. I started writing seriously when independent publishing became more common and better respected. I mostly write in the evenings, but when I’m lucky, I get to do it in the mornings, which is when I write best. It just doesn’t always fit with being a father. I enjoy themes of drama, transformation and redemption. I’d rather feel uplifted in my reading, so I generally write with that aim myself. That doesn’t mean that the road to redemption is an easy one, or that everyone gets redeemed. My main aim is to write something entertaining, but I also hope to include something to make my readers think or perhaps to see the world differently. That goes for both my fiction and my non-fiction, so perhaps those varied genres aren’t so varied after all.